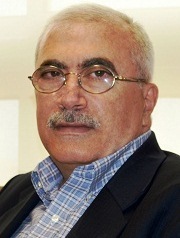 Abdallah Dah has been a professor of economics at the Lebanese American University since 1988. He is currently the Associate Dean for the Adnan Kassar School of Business. He holds a PhD and an MA in Economics from the University of Colorado Boulder. He has published in leading journals such as the Journal of Energy and Development, Applied Energy, Journal of Applied Business Research, International Journal of Applied Mathematics, Journal of International Academy of Hospitality Research and Leisure and Tourism Management Journal. Sita, B. B., Abosedra, S., & Dah, A. (2015). Short and long-run budgetary relationships: evidence from Lebanon. The Journal of Developing Areas, 49(2), 77-9. Ben Sita, B., Dah, A. M., & Hallak, W. (2013). Evidence on managerial entrenchment effects on firm value. International Journal of Financial Services Management, 6(2), 93-104. Boumosleh, A., Dah, A., & Dah, M. (2012). Internal Capital Markets and Equity Restructuring. Journal of Applied Business Research, 28(6), 1171-1182. Abosedra, S., Dah, A., & Ghosh, S. (2009). Electricity consumption and economic growth, the case of Lebanon. Applied Energy, 86(4), 429-432. Dah, A., Dibeh, G., & Shahin, W. (1999). The distributional impact of taxes in Lebanon: analysis and policy implications. Lebanese Center for Policy Studies.